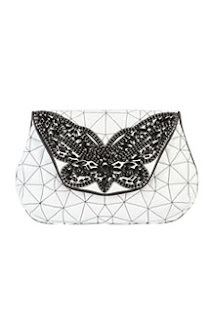 Specifically, this gorgeous clutch from Urban Outfitters. Now being from Urban Outfitters, it was already expensive to begin with. And even in the sale, it's a bit out of my price range but then I do have expensive tastes apparently. I like the simplicity that means it could work for daytime as well as evening. Which suddenly makes it seem very practical and worth it in terms of Cost Per Use...!